Even though it seems to be almost ubiquitous, cloud computing continues to grow at an impressive rate. According to Gartner, public cloud revenues as a whole will grow by 17.3% in 2019, and the IaaS (Infrastructure as a Service) market will experience 27.6% growth. What this means is that more and more organizations will need to navigate the cloud migration challenges associated with maintaining a hybrid cloud infrastructure in order to reap the benefits of the cloud. While there are a number of benefits to cloud migration, there are also operational, security, and financial risks that must be accounted for. In this piece, we’ll dive into the different approaches to cloud migration, some of the cloud migration challenges many organizations face, and how to effectively address those challenges to minimize your risk and maximize the upside of the cloud. Rehost. Simply move workloads as they are. While simple and less work-intensive than the other methods, the downside here is the inability to maximize the cost and performance benefits of operating in the cloud (e.g. elasticity). Replatform. Make minor changes to workloads to help capture some of the inherent benefits of the cloud (e.g. use a managed database for an app). Replatforming seeks to find a middle ground between the benefits of rehosting and refactoring. Refactor. Re-architect the workloads to maximize the benefits of the cloud. While refactoring is the most work-intensive upfront, it also positions enterprises to maximize the cost and performance benefits of the cloud. In addition to weighing the pros and cons of the different cloud migration strategies, organizations must be able to identify and overcome the inherent cloud migration risks and challenges that come with shifting workloads off of on-premises hardware. Below, we’ll review three of the most common. Strategy is vital to any major IT endeavor, and cloud migration is no different. A major part of developing the right strategy is selecting the right approach (rehost, replatform, or refactor) to your migration. While this will have a major impact on ROI and operations, it is not the only area to consider when planning a cloud migration. Another key component of a cloud migration strategy is knowing what solutions you should say “no” to. Wasted spend is a big cloud migration risk. How big? Consider the statistics that suggest 35% of cloud spend is wasted. Understanding what your business needs, and what it doesn’t, will help you properly plan and avoid wasted spend. Paying for additional cloud infrastructure you don’t need and won’t use isn’t only a poor investment, it also unnecessarily increases your attack surface. The cloud comes with challenges beyond wasted spend as well. Generally, security policies are applied within the context of a given cloud platform (e.g. AWS, Azure, GCP, private clouds, etc) or on-premsies data center. This siloed approach to infrastructure leads to disjointed security policies and one-off configurations that make capturing a holistic and granular view of data across the entirety of a network a real challenge. Lack of visibility can hurt both before and after a migration, particularly when using a “rehost” approach. For example, in order to understand how an application performs, its dependencies, and what ports it uses, granular, process level visibility is required. Similarly, detailed visibility is required after the migration to ensure the app is operating as expected. Another important part of executing a cloud migration is understanding and accounting for the complexity it can add to network security once it is complete. We often think of cloud migrations as a way to minimize complexity in IT. After all, the provisioning, maintenance, and patching of software and hardware can be abstracted away and taken care of by a service provider. However, from a security perspective, the more discrete clouds and solutions you implement, the more silos you create. As a result, it becomes more difficult to maintain robust, scalable, and holistic security policies. This complexity is only compounded when a single application spans multiple cloud configurations. In short, the hybrid cloud model is fundamentally different than an on-premises model. Multiple discrete infrastructures and services each have their own wrinkles that make developing policies that can scale and span the entirety of an enterprise difficult. As a result, you are left with multiple silos within your infrastructure that create blind spots, lead to more maintenance, require more resources, and demand more time and energy from the security professionals on your team. Some of the challenges we have discussed thus far, namely selecting the right approach for your cloud migration and knowing when to say “no” to unnecessary solutions, can be mitigated with proper planning and an understanding of your infrastructure needs. However, from an operational perspective, you’ll still require tools that enable the visibility, flexibility, and security required to effectively execute a cloud migration and implement enterprise-grade security thereafter. This is where a solution like Guardicore Centra can add a tremendous amount of value. Since it is designed from the ground up to solve the security and visibility problems facing the modern enterprise, Centra users are able to create and enforce security policies that span clouds and on-premises environments, helping to break through silos. Further, Centra enables the creation of cloud-ready policies with features like auto-scaling that enable users to get the most out of the flexible, burstable nature of the cloud without compromising security. Centra offers process level visibility across clouds and on-premises which enables detailed planning before a migration and performance monitoring after. Centra also supports a wide variety of cloud API integrations that enable enterprises to capture granular details on migrated infrastructure. Additionally, Centra is able to use dynamic labeling and integrate with Software Defined Data Center (SDDC) controllers, orchestration tools, and bare metal hardware to ensure that security policies follow instances no matter where they are deployed. You can learn more about Centra on the Centra Product Page. Ready to get started with your cloud migration? 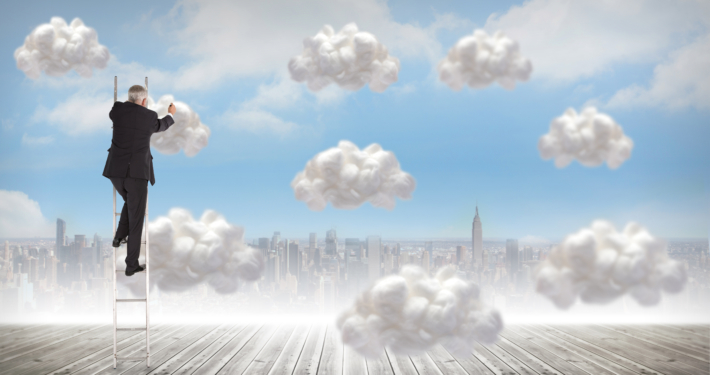 As we have seen, there are a number of factors to consider when planning a cloud migration. Enterprises must be diligent and ensure they aren’t making strategic or operational errors when making the leap. By properly strategizing prior to your migration and leveraging a solution like Guardicore Centra, you can help resolve the inherent cloud migration challenges involved in shifting workloads to the cloud. This will position your business to get the most ROI on your cloud spend and help ensure your IT security is not compromised due to silos and blind spots. If you’re interested in learning more about how Guardicore can help ensure your next cloud migration is a success, check out our Cloud Migration Use Case Page or contact us today.